SEO Expert and CEO of ﻿Ardor Media Factory ﻿Kris Reid spoke to Web Agency about how Ardor Media Factory started off, setting up shop in Cambodia and how you can enhance your online reputation management. SEO Reputation Management not only includes producing good content and positive feedback from clients, but it also means optimising the right keywords for your website and picking yourself up after negative press hits – helping you see the good by filtering out the bad. Kris speaks with Matthew Newton from Web Agency about tips and tricks to help you realise the full potential of your website and how you can make everything you write online feel reputable and trustworthy. 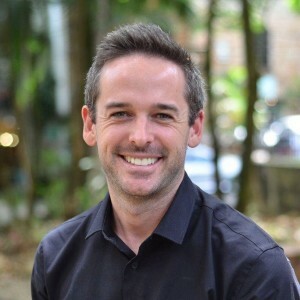 ﻿Matthew Newton﻿ specialises in podcasts and SEO internet marketing who also runs a successful website creation service for tourism companies. He runs Web Agency with his brother Ben putting together and posting podcasts on giving your business the full potential online. Matt: Hey it is Matt ‘…’ here from the Web Agency Podcast, you are listening to episode number 80 of this show and it is a pleasure to be with you once again, and just before we dive in, lets just thank our sponsors gathercontent.com – you know who they are. It is a service for web design agencies and anyone who has to manage the process of gathering content. They make it so much easier. Use their discount code webagency podcast for lifetime 15% discount. They will help you make the process so much more easy than gathering documents all over the place and trying to collect them at base camp or whatever it is that you are currently doing. You can just figure out all the layouts in the software, get them to fill out the fields and away you go. Check it out, gathercontent.com. Also, remarq.io/wap to get the samples of the designs but Remarq just allows you to create beautiful PDFs on the fly using marked down documents – no more dragging anythings around Abode in design or whatever the heck it is that you use. Remarq just make it so much easier. I have used it and I can say it does help make things a damn sight easier so check it out, remarq.io. Great, so let’s dive in. Well it is a pleasure to have with me Kris Reid from ‘…’ and ‘…’, coming all the way from Cambodia. How are you going Kris? Kris: Yes, great Matt. Thanks for having me. Matt: So coincidentally you are the second person in a few weeks to be an Australia who has got ‘…’ based out to South East Asia and it is a complete coincidence that this has actually happened but why don’t you tell us your story about how you came to be in Cambodia Kris. Kris: Well how I actually came to be in Cambodia, I was running away from a woman and it turned out I did not run far enough. My original plan was to move out to Asia for the, you know, cost advantage and I first moved out to the Philippines and that is where we set up our office, in ‘…’ because, you know, the Philippines has got, you know, a great bunch of workers with really good English skills and so we have been in the Philippines for three or four years now and then I came back to Cambodia because I do really like living here and it has a lot more access to expats and you know, as our company has evolved, I want a lot more people that are native English speakers so they can interact on a more personal level with, you know, Americans and Australians and Brits. Matt: Sorry you dropped for just half a second there, so the place that has people that can interact on a more personal level with Americans and Brits was which place? Kris: In Cambodia, in ‘…’. Yes there is a lot more access to expats, you know. Matt: Alright, so that is kind of interesting. Have you worked to hire expats in ‘…’? Kris: Yes for sure, I mean we are pretty new in ‘…’, we only moved here at the start of the year but you know, we have already got a project manager who is from Belgium. You know, he has got heaps of great experience working on really huge projects so as our team has really grown, you know, he has got skills that I do not have so you know, he is enabling to get more efficiency out of our team and better communication and help us grow to the next level. Matt: Ok so that is actually very, very interesting. So did you move to ‘…’ because of the additional access to expats? Kris: Yes for sure. I mean the first time I came here was about four years ago and you know, jokingly I was running away from a woman when I was living in Russia but I met lots of good people here and saw that there are lots of expats from all over the world. You know it is a really fun place to live so people want to come here and live and you know, ‘…’ is his name, he is my project manager and he just enjoys really living here. It, you know, it is more fun than rainy old Belgium and so you know, we are a good match for each other and yes, that is why we are here. Matt: Alright, let’s step it back a bit. I want to hear a bit more about the story of your business. What is it that you actually do and how did you come to end up doing it? Kris: Well I am a software engineer myself and I used to work in the UK and as the global financial crisis hit I lost my job, like pretty much every software developer working in finance. Matt: What, are you from the UK? Kris: No I am from Australia I just moved there after I finished university. Matt: Oh ok, I was going to say, yes the accent. Kris: But I moved back to Australia and I started ‘…’ around building an online game just to learn some new skills about, you know, how to do web technologies and as the game was coming to completion I started wondering how am I going to get people to play it? And I started learning a bit about SEO and at the time I was kind of more interested in travelling the world than building a business, so I spent the next two years kind of backpacking around and worked out that I could make money selling SEO. The cornerstone of SEO especially back in those days was back links and so I built some software to manage a back link distribution center and you know, we slowly grew from there. The majority of our staff was Filipino and the Filipino teams kept growing and growing and then you know, I ended up asking those people, where is the best place to live in the Philippines and they unanimously said ‘…’ so I, you know, I booked a ticket and went on over and, you know, I could see it had everything I was looking for and we quickly set up office there and quite a lot of people that used to work online then moved to ‘…’ and started working for our business there. In fact our second ever employee, Blaise, she now manages our team in ‘…’. She just came to ‘…’ last week to meet our new project manager so it is pretty cool to have such longevity in our staff. Matt: Alright so a couple of angles there but when you decided to start this, you know, to really expand on this SEO link building kind of thing you were already well into travelling around the world? Kris: Yes, I mean I had backpacked for about two years, you know, spending time in, you know, Russia, Latvia, you know, the Caribbean, you know, most parts of the world and you know, I had just been working kind of enough to get by. I was not really too serious about it but then you know, as my money started running out I got a little bit more serious about it and I am a business guru and I became more professional and, you know, hired staff and then by the time I was ready to set up office in the Philippines I was very serious about it. Matt: So how did your business grow? Kris: Well when I was just, you know, playing it by ear, just having fun with it, it just seemed to be like money would trickle in, you know, just when I needed it. It was perfect for me to get from one stop to the next stop but then when I really wanted to settle down and made a go at it I had to learn everything about marketing, about you know, building better products and it was really stressful and it was really tough and it was tough and go at one point. It has been real difficult over the years. It is a lot about learning and evolving; do not be afraid to fail and fail quickly, you know, learn from your mistakes. We have tried to many different marketing ploys and you know, some work, some do not – you know, do not be afraid of the ones that do not and when you find ones that do then, you know, focus on them and you know, scale them as much as you can and that is what we have been doing over the last, I do not know, two years, and it has been really great growth. I mean this year we have pretty much had 10% growth month on month. It is pretty cool. Matt: Wow, ok. Let’s talk about that transition from hand to mouth to making some genuine income. What were some of the ploys that you tried then that worked to get you more customers? Kris: I mean I tried everything like LinkedIn marketing, Facebook marketing, you know, direct marketing with everything from cold calls, cold email, to, you know, cold contacts on LinkedIn, all that has some effect. One thing I have found that is really beneficial is connecting with your customers and you know, getting recommendations from people so just yesterday I connected with all of our new customers on LinkedIn and sent them a request like would you mind saying a few words about us? Because then that is something you can go and show to other people because it gives, you know, instant authority and you know, that can see well you work with these guys and it would be good to work with us, especially when you have got you know, some customers that are big brands or big names. Matt: Which it appears that you have been able to generate over time. So really, interestingly, so you did not really strike upon one method so to speak, you just kind of just threw a lot of mud at the wall and some of it stuck and away you went. Kris: That is 100% right. I mean the amount of things that we did that failed are too numerous to count. Matt: Wow ok, I feel so much better now because with this business I have got, I have thrown a lot of mud at the wall and I am keeping on throwing mud. So you talk about, you know, you offer link building services and stuff like that. Let’s dive in a bit deeper – I mean there are so many different ways that people can offer and buy links. What are some of the big mistakes that people make, do you think, in terms of how they buy links or how they, sorry, how they contract link building services? Kris: Yes I mean anyone that is cheap is probably someone you want to stick away from because I mean, you know, Google scared the pants out of everyone about two years ago with the penguin update and you know, they are looking for nasty links and so if you are building cheap and spamming links, it is going to get you in the hot water. You know, Google wants good content added to the internet, it wants the index stuff that, you know, people want to read and people are interested in so links should be focused around, you know, good quality content that if a real human sees it, it, they are going to be interested in reading the article or the video or whatever the piece of content is that, you know, helps build your brand. It has got to be an all-inclusive method, you know. Matt: Alright so a typical campaign, what would be a typical say industry that a customer might be in? Kris: Oh I mean we work with everyone from local customers to, you know, FX people, you know, people doing, you know, we just got a new contract with a guy that sells trucks – you know they are a big truck brand in Europe, you know, that is, their trucks are a couple of hundred thousand dollars. They can afford to spend a bit on link building. Matt: Ok that is great. So someone who runs a truck company, how would you go about doing content based link building for them? Kris: Well we actually work through an agency for them, so their advertising agency has contracted us to do their link development and the first thing is to try and work out the keywords, work out what people are searching for, you know, straight off the bat, I am not a guy that is in the market to buy a truck, you know, so you have to try and get in the mindset of you know, a distribution company or the people that do buy industrial trucks and you know, see what problems they are searching for that the truck is going to solve, you know. Like they might be looking for, you know, low cost transportation or, you know, a more powerful engine or, you know, you have got to try and ascertain what problem that that company is the solution for. Pick the right keywords and you know, build those links. Matt: Pick the right keywords and build those links, ok. That is a very succinct summary of what is probably a very complex topic so do you go off and start writing a whole bunch of articles? Kris: I am a software engineer so I love building software and we have got a pretty big team now that builds our software. Everything that we do is controlled by that software but everything is still done by hand. You know, we have got a writing team that go and research the topics, so say you want to chase a keyword like, you know, economic transport methods, then they will go and research the truck that they are writing for and write an article that is all about, you know, the economics of a truck and then put that on a website that is all about transportation and have a nice link back to the customer so yes, it is about building quality content that the customer would not mind having associated with their brand, that if the user of Google searches and finds that article, it is going to provide, you know, quality information that will, you know, help them even justify them to buy that truck, you know. Matt: Ok so you say you put it on a nice website that is relevant to transportation. Is this a website that you are building yourself? Kris: We have two methods of doing that so we have a rather, what is called a private blog network which I probably should not say out loud. We have a whole bunch of sites that we put together that are industry specific and we are pretty careful about the way we do that. But the other method that we do is through outreach so we will go and contact people, people that might blog about trucks or you know transportation or, you know, engineering or whatever and, you know, ask them if we can provide them with content to put on their website. And we will actually go one step better and promote that content for them in exchange for them putting an article on their website that links to our customer; we will then promote that article through social media. You know, we will share it around on Facebook, on Twitter and drive traffic to their website to help build their brand. Kris: So that lovely sound there is a guy selling what is called ‘…’, which is a two week old fertilized duck egg. Kris: Yes, it is pretty nasty stuff. Matt: It does not sound particularly tasty but I know that people are kind of well into that stuff in South East Asia. Alright, so one thing though I really wanted to touch upon with you on this conversation is reputation management. It is the very first time we have talked about this on the podcast. What is reputation management? Kris: Well there is an old ‘…’ that, you know, it takes a lifetime to build a reputation and only seconds to destroy it so you know, it is really important to look after your reputation and see what is going on. You know, like people can be nasty, people can write bad things about your company or you personally and it is really important that you know that that is happening, so you know, you should be googling yourself, you should be googling your brand and your products and, because when you are interacting with a new customer that is probably the first thing they are going to do, is, you know, who are you? Let’s check out their reputation and they want to see all the good things, and so if there are nasty things there you want to try and deal with them the best you can. Matt: Ok, and what are some examples of some nasty things that might be hidden under the sheets? Kris: Well we are working on a rather difficult project at the moment. He does investment training, property investment training in Australia and the Australian ABC, which is the equivalent of like the BBC in the UK, they did an article about him that is not very endearing and you know, we are not sitting on either side of the fence – we are just working for our customer – and obviously the ABC has a lot of credibility and huge authority so to out rank them for a keyword, which is his name, is very challenging but you know, it is very much damaging his brand so you know he is willing to make the investment to beat that. Matt: Wow, oh man. ‘…’ I know that is probably not going to be conducive to this podcast interview. Kris: Yes, it is probably something ‘…’ would not like us to talk about right now. Matt: Ok so what would you do? You would put up articles about them on websites and then link ‘…’ to those articles, or? Kris: So what we have done for him is we have built out several websites that are all about him and his brand and then we build out social media profiles for those and then we build links to those, and then we are linking, so on the front page for his name is, you know, his website, then the ABC and then his social media accounts and so we are trying to build up heaps of authority on these other websites and then have them link to his social media accounts and push them up and hopefully that will give them enough authority that they will over jump the ABC. Kris: No not at all. I mean most people are not that big a brand name anyway, he has got a very well established company. Another example of one that we are working on is a company that does PAT testing, it is like electrical testing in the UK and their competitor was very nasty and has written a lot of bad reviews for them on like Google Plus and in forums and lots of nasty stuff. So with that, we have built a video for YouTube called their name and review and it is just a nice video about their services and we have put that onto a really authoritative YouTube account and so it is ranking straight up to the top and you know, so it is taking up a really big chunk. If you type their business name review, you have now got this YouTube video that is right at the top and it takes up a lot of that chunk, you know, so it helps push down all the nasty bits. Matt: What about in terms of the reviews themselves? So you have got a lot of people that use say websites like TripAdvisor. Lets just say you have a client that is on a website where people actually visit these websites to look at the reviews like your Yelps, your TripAdvisors or anything like that. Is there anything you can do to help those kinds of people? Kris: There is actually a reputation firm that we are working with and they tell me one thing that they are doing with their customers, which I thought was brilliant, they hand out little cards – so this is for bricks and water businesses where you actually see your customers. And so it has a little card with a short URL or a QR code that you can scan and it just takes you to a website that says ‘are you happy with our service?’, yes or no. If you click yes then it asks you to leave a review on TripAdvisor or you know, G Plus or whatever, you know. But if you hit no, then it just gives you a form to submit why you are not happy and then that goes straight to the company so they can deal with it. You know, a lot of time you can, if you are speaking to a customer and you get why they are unhappy you can, you know, change that and fix whatever the issue is and, you know, turn them back into a happy customer. But the main thing is that it does not go onto the internet and, you know, it stays between you two. Matt: How does one sell online reputation management? Kris: That is a bit tricky. I mean we have done, we have got a lead generation team and they actually go out and hunt people so they will go and search businesses that do have poor reputations. There are ways you can do that either through Yelp, through, you know, Google reviews. There is one avenue, there is this terrible website called the rip off report and anyone can post on that that, you know, someone is a rip off and here is the details why and it ranks really well in the US but there is no verification that you were even a customer or anything but it ranks really well and one thing we have done is gone through the report and you know, find, you can easily, pretty much any report that is in there, you can just Google the business name and it will be the business website and then the rip off report so we can then contact them and say well are you aware of this, have you checked your reputation? You know, we can help you clean it up. Matt: And how much damage does this kind of thing actually do to a business? Kris: Well I mean it depends – like if someone is blatantly trying to destroy your reputation and they have got some big stupid post that just says oh this guy is a scammer or whatever, you know, some people, a lot of people can see through that and go that is just rubbish but you know, your reputation is important. You know, when you book a hotel, you know, through hotels.com or booking.com or whatever I am sure you look at the reviews so you know it is going to affect your bookings so you should certainly look into it but how much it effects it, well it is hard to know your marketing channels. Matt: Uh huh, and in terms of charging fees, what are some typical fees that you charge for online reputation management and how long does ‘…’ generally last for? Kris: Ok so that PAT testing one, we are charging them $300 per month and we are not doing a whole lot of work for that. You know, we can build some really kind of low quality links because we are trying to work on sites on Twitter and Facebook, which you know, you are not going to get penalized so it is ok. But this other guy, he is spending about ten times that because, you know, he is really ‘…’ authority, you are focusing against the ABC, it is going to take a whole lot more work and you know, we have been working his account for a couple of months now and we have had minimum results because it is taking so long to build up so much authority. I warned him that before we started but you know, he is in for the long game. Matt: Yes well I guess you have to be in the long game if you are going to be taking on ABC. Alright so reputation management versus link building – what is the most important part of your business? Kris: Certainly link building is our strong point and where we build. I mean our, the main part of our business is working with SEO companies, mainly in Australia and you know, they deal with their customers day to day on site changes and you know the what needs to be done there and we do the off page link building. Matt: That is interesting, so how have you found these SEO companies who are working with you? Kris: So again through a variety of techniques: cold email, cold calling and one technique that works really well is actual posting letters. In fact we have just started a campaign in the US; I had a call this morning with a guy in ‘…’, we sent him a letter and you know, he connected me directly on Skype and you now cannot wait to start a campaign with us. Matt: There are a lot of just typical web design agencies who listen to this podcast. Do you work with those kinds of businesses? Kris: Yes for sure I mean one thing a lot of agencies like web design guys, they do not have the time for this. I mean building links is a full time job you know, we have been doing it for six years now and, you know, I spend time researching how to make our links more powerful all the time. You know, you cannot do that and focus on being good at web design you know. Matt: Alright so about 20 or 15 episodes ago we had pure pure white ‘…’ link builder on the show and he focuses exclusively on the outreach to websites and stuff like this and I know he is not such a big fan of some of these kinds of methods. What is your response to ‘…’, you know, pure squeaky clean ‘…’ builders who might criticize the whole blog network kind of idea? Kris: Yes I mean it is always a return on investment, yes. I mean we do outreach for link building and, you know, we have got a UK guy that all he is doing is pounding the phone to the UK to get links and it is expensive, it is time consuming and it is really expensive and from our measurable results, the links are of no high quality and get no better results so you know, why spend more money? That is what it comes down to for me. Matt: I like it. So Kris, lets swing all the way back to Cambodia. I have been hanging on to asking about this the entire time. The reason is I am actually thinking about doing something similar myself; going out to South East Asia and hiring expats who happen to be in the area for whatever reason. You know, most expats in my experience are university educated, they are willing to work and all that kind of thing and obviously hiring a university educated Australian in Thailand would be a lot more cost effective than hiring a university educated Australian in Australia. Is that the kind of thing you had in mind yourself? Kris: Yes I mean hiring expats here it, you know, has a great cost advantage. You know, sure their salaries are a lot less than in the West but you know the cost of living is a lot less too and so even with that smaller salary, you know, they can be better off, you know, with more disposable income and you know enjoying their life more and, you know, heck I love living here. Matt: Yes I must admit, Chang Mai in Thailand is a great city to live. I was living there on about $750-800 per month and my lifestyle was probably better there than back in Melbourne so that is a pretty extreme example. What is the cost of living like for you in ‘…’? Kris: Well I am actually used to Filipino prices so I find it really expensive. I mean I did not live in ‘…’, I lived in ‘…’ in the south of the Philippines and you know the cost of living there is really cheap like you know, I had a really nice three bedroom house and it cost me about $500 per month so you know, $1000 per month and you are living like a king. Matt: Wow, that is the attraction I guess and the adventure side of it as well. So do you try to attract people to come out to these countries or you try to find people who are already there? Kris: Well in the Philippines we pretty must have exclusively Filipino staff – we have got one American guy who is a salesman and he has been living in the Philippines for years. I would not try to attract someone to ‘…’ because it is a very provincial town like you either like living there and you found it on your own or you would not really want to go there I imagine. But ‘…’ is a really different ball game, like it is a very cosmopolitan town. There is, you know, every type of restaurant you can imagine here from you know Mexican to French to local and at every price point too, you know you can get dinner for $1 or, you know, you can pay $100 for a good steak. Matt: Well, gee it better be a bloody good steak for 100 bucks. Kris: That might be a little bit far fetched but you know what I mean. Matt: Cool so you are hiring expats from on the ground locally. What kind of people is that? I mean ‘…’ particularly, just from what I have heard from the outside, has a reputation for being kind of seedy. Kris: I would not call it that, I mean the Prime Minister’s wife, she forbids all strip clubs so there is, you know, no strip clubs here. There is, it is, I think it is a pretty classy city – I like it a lot. I mean the Buddhist element, I think that makes it very safe because they have a lot of respect and, you know, there is very little crime here and you know I do not mind walking down any dark alley at night time. I always feel safe here. But yes, I mean the people that come here, we have got a few westerners that work for us now and that is growing. The people that come here are usually a bit adventurous and they are looking for something different in life; they, you know, want a different experience than living in Australia or the UK and you know, they are here to experience and they are generally here for a long time. You know, like I want all of our staff to you know really be a part of the team and you know, looking to stay here for a significant amount of time so they are certainly questions that I ask in interviews. Matt: Alright so a westerner living in ‘…’ working for a company like yours, what sort of, what kind of salary is the going rate over there? Kris: The salaries for westerners, and this is US Dollars, it starts from about well teachers I believe can be about $700-1000 and then like more professional staff can be $1000-2000. I do know of some guys working for other companies on around $3000 – that is pretty high end. Matt: So in terms of your own rates, do you, are you happy to discuss your own rates publicly? Kris: Yes for sure, I mean sure we can talk about that. SEO is never a one size fits all. You know like link building for a plumber is not going to be the same as you know, link building for an attorney. Matt: Yes sure – lets run through a couple of these examples then. So link building for a local plumber, how much would that typically run? Matt: That is actually a fair amount of links for that price. Matt: Yes, I would have thought. You are kind of talking about you know how you almost imply it is not that much for not that many links but for me, that is like that is a lot of links. Kris: Yes. If you look at some of our competition, not that I try to compete with our competition because I mean every one has their own strategies and heck, ours works really good so I do not really care what they are doing but I do know that a lot of other people go for a lot higher number of links. Matt: Ok, but then I think, if you are going to, I think, at your kind of pricing, if you are going to push at any level below that it would be very, very difficult to maintain quality. Matt: Alright go there is a constant going around of coconut handcuffs at the moment which is what happens is you move out to a foreign country, you make a bit of money, but you do not make enough money to move back. Lets just say if you do want to go back to Australia, the UK, the US or something like that, do you think this is a real issue that people face if they do move out to South East Asia, that they can become trapped by what is a nice lifestyle out there but too low an income to realistically move back home? Matt: Alright, sweet we will wrap it up there, thanks Kris. So people who want to check out your stuff. How will they do so? Kris: Yes, you can check out ardormediafactory.com and send me an email. I am happy to have a chat anytime. Matt: Alright, cool. Thanks Kris. Kris: Cheers man. Thank you very much. Matt: Alright well it has been a big week at camp tourism tiger. We have got a new intern starting with us in a couple of weeks and we have got another one starting the week after that; we are picking up clients; we are launching websites; we are improving the system. Everything is going crazy but probably the biggest piece of news we have at the moment is that we are probably will not be hanging around in Chile for too much longer, we will probably be here for maybe six more months, five more months and then we are going to be heading off. The current game plan is to actually head to, maybe after passing through one or two countries to avoid the European winter, to end up in Serbia. I know that sounds kind of crazy but one thing I have discovered in my travels around the ‘…’ is that Eastern Europe is a really, really great place to hire people so we are actually considering gong there and thinking about putting down a local team. I know, it sounds kind of crazy but that is what we are doing. Now in the last week what I had to do was I wrote a whole bunch of documentation to help clients get on board and to explain a lot of the questions that they have and stuff like that. I wrote six different documents and that will hopefully reduce the amount of time I have to spend answering repeated questions and something I recommend to do just to gradually build up that documentation. And write it as a blog post and say hey, thanks for the question, we actually wrote a blog post on the topic and bang! It means you can actually write a much better quality response all in one go rather than writing half-assed emails every single time. That is what is happening over here. This week is a big week in start up Chile actually. We have got the pitch day which means I have to spend a lot of time preparing my pitch and all that kind of stuff so that is going to be fun and that is going to probably chew up enough of my time for the week. But also I am sorry that the webagencypodcast.com website has been going up and down sporadically. I am not actually sure what the issue is there but I am trying to fix it now. Thank you to all the people who reached out and let me know actually that the website was down because I was not aware until I got the message so thank you once again and I am going to leave it there for that week. Not a huge amount of news despite my chatter about, you know, everything being crazy. But do not forget, check out gathercontent.com. They will help you organise your customers’ documentation and make it so much easier to basically get all the different types of content and make people see what content is left to actually give you and obviously remark the IO. So easy to use and you just upload your mark down documentation and away you go – and mark down is so much easier than say HTML, it is just putting asterisks and a couple of, you know, symbols here and there and bang, you have your formatted document. It is amazing, so check that out too. And everyone, have an absolutely fantastic week.